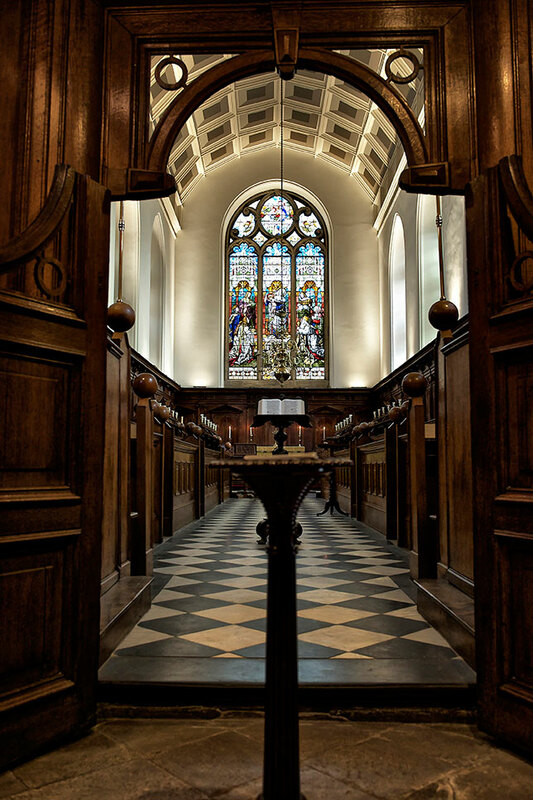 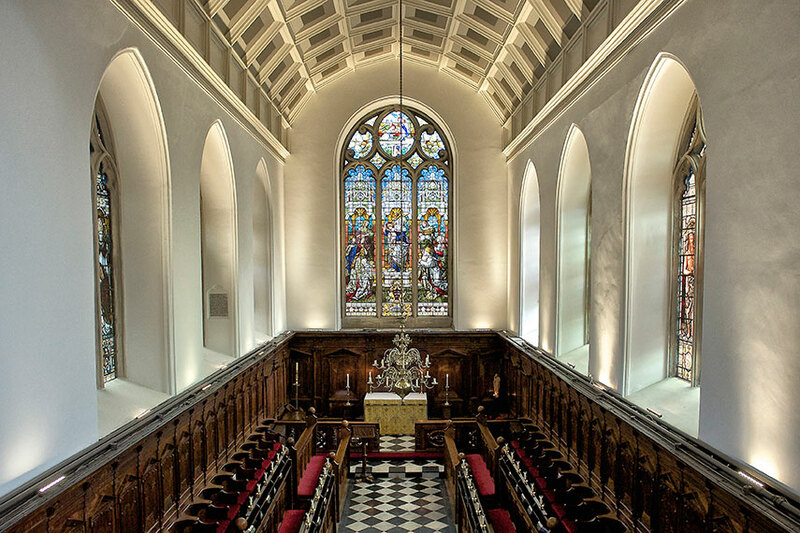 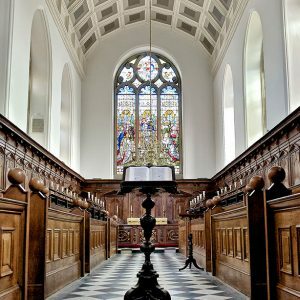 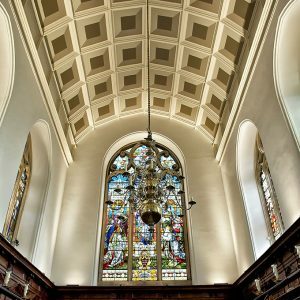 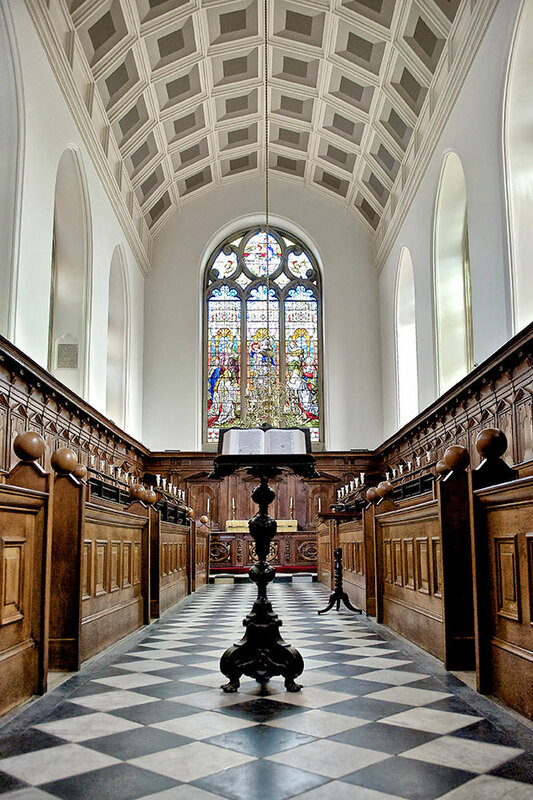 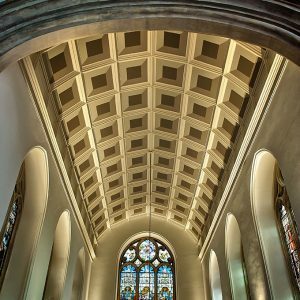 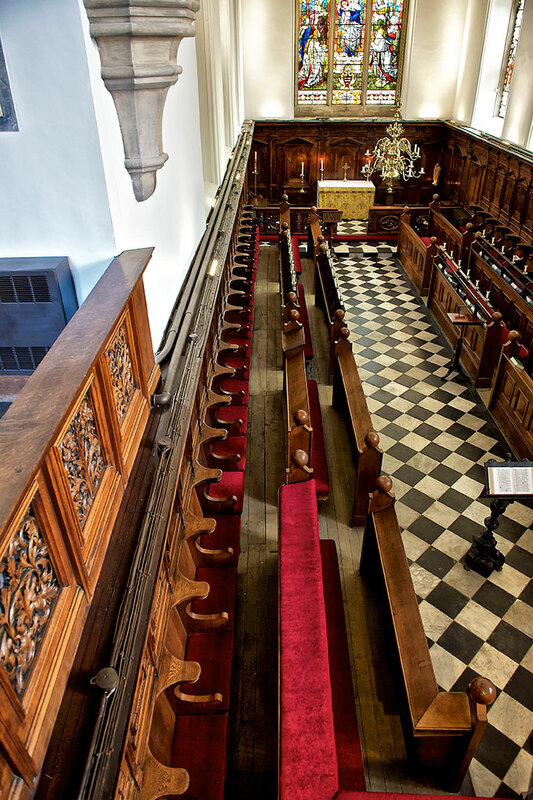 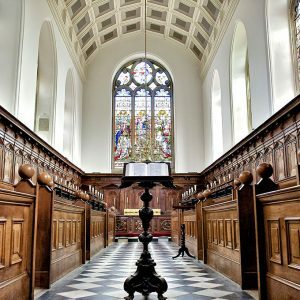 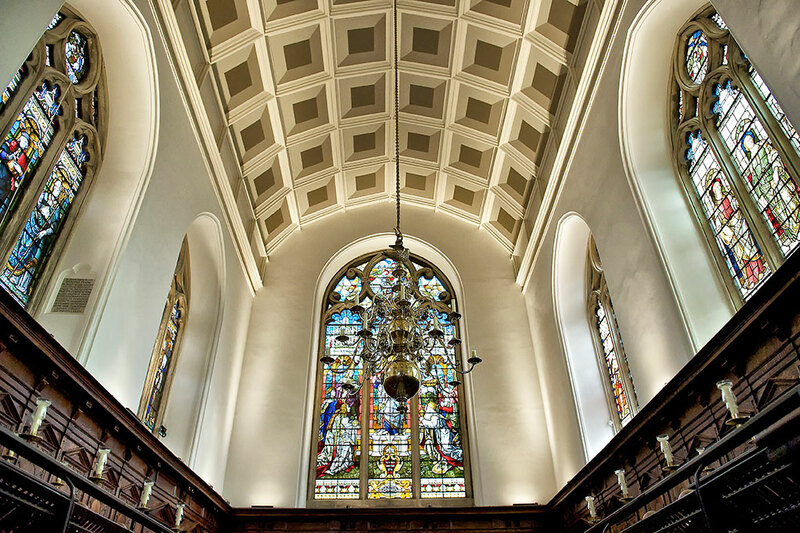 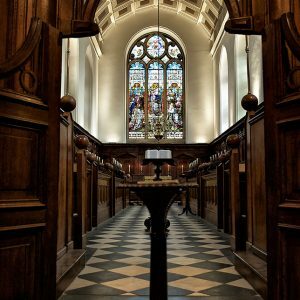 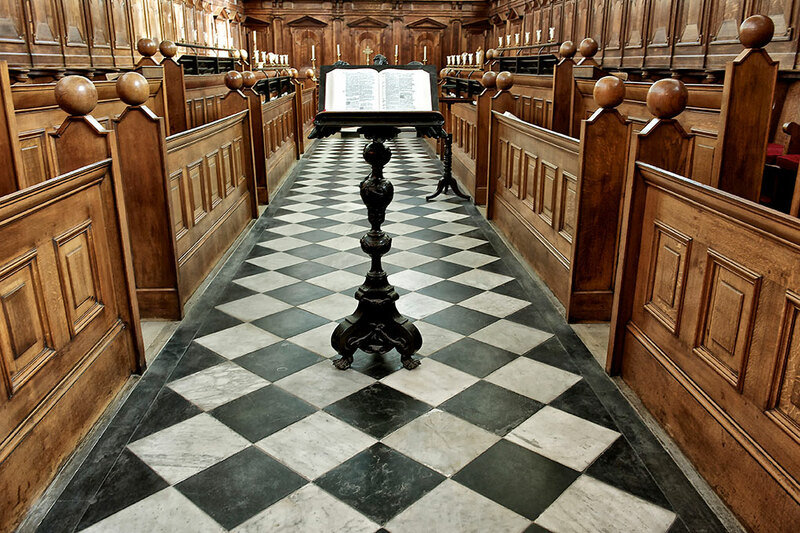 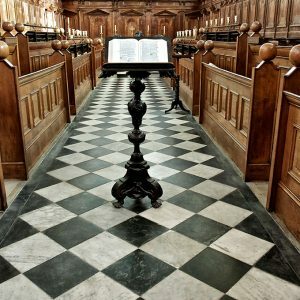 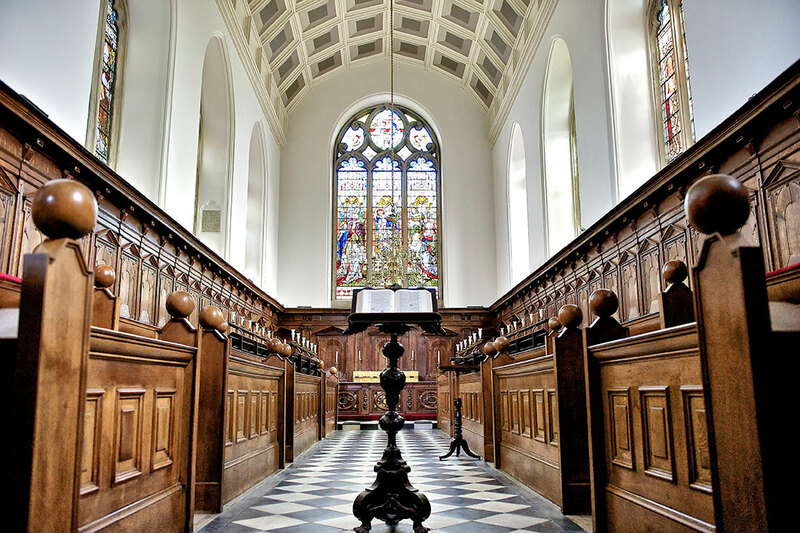 The complete restoration of the internal finishes of a historic chapel, situated within the grounds of a college. 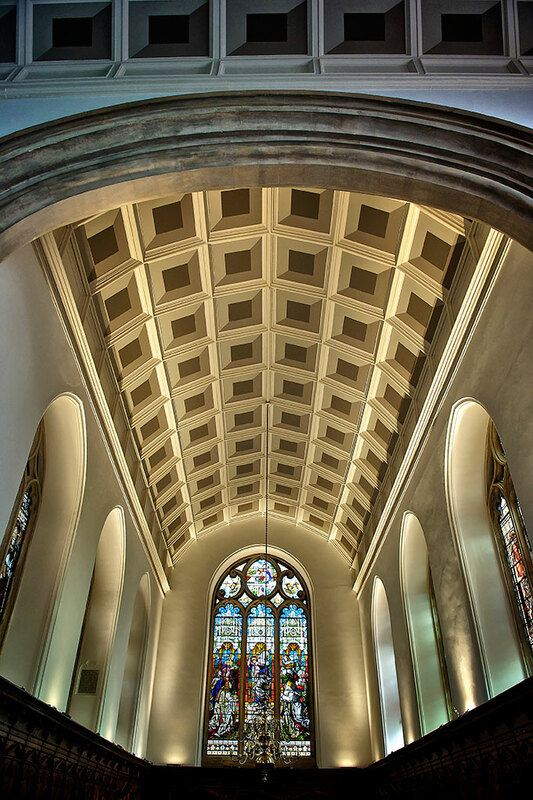 The project involved erecting a complex internal scaffold in order to afford safe working access to carry out all repairs to joinery, wall and ceiling areas as required, and to completely redecorate and refinish existing surfaces. 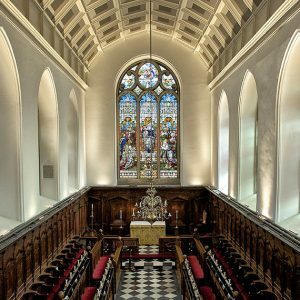 A new lighting scheme was proposed and a specialist electrical sub-contractor/lighting designer was employed to carry out the successful design and installations. 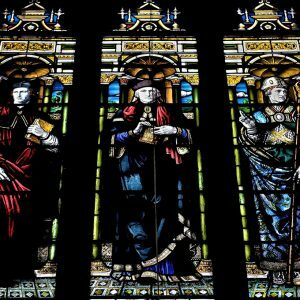 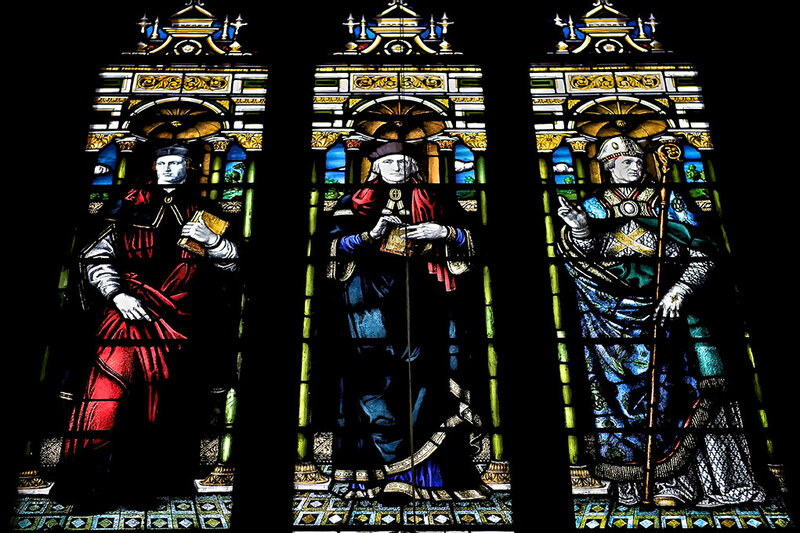 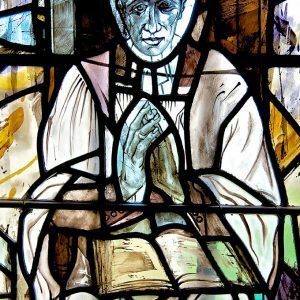 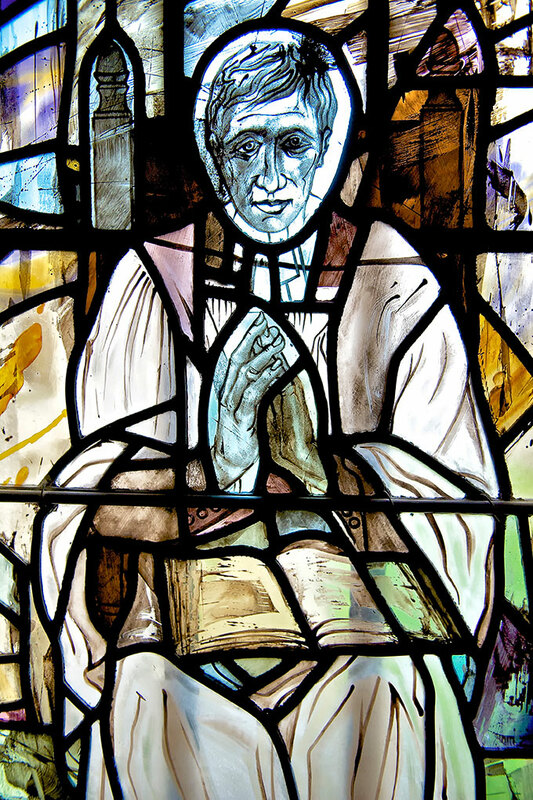 All existing stained glass windows were hand-cleaned and restored. 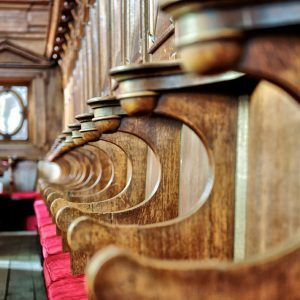 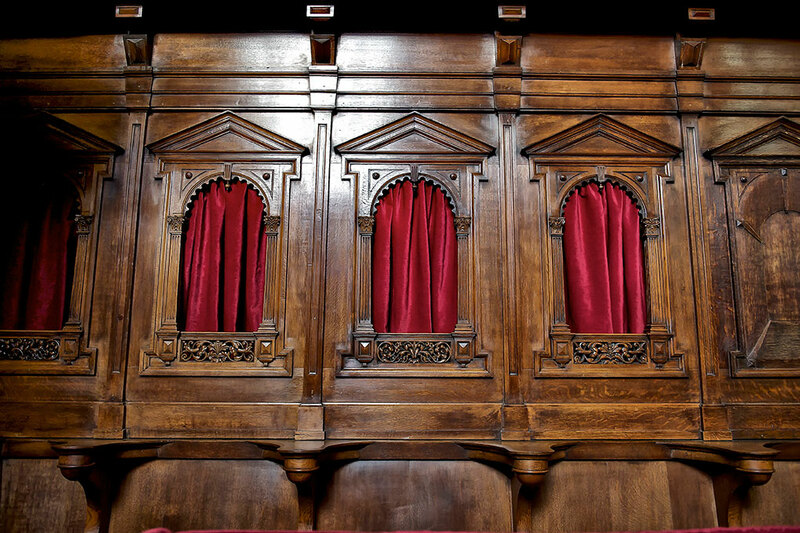 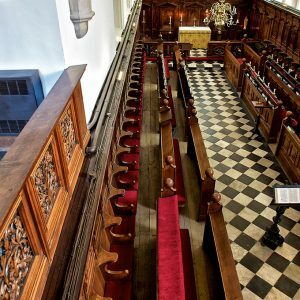 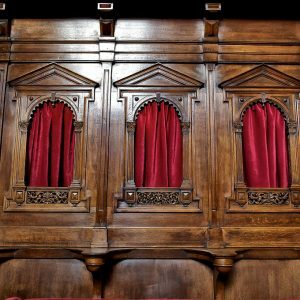 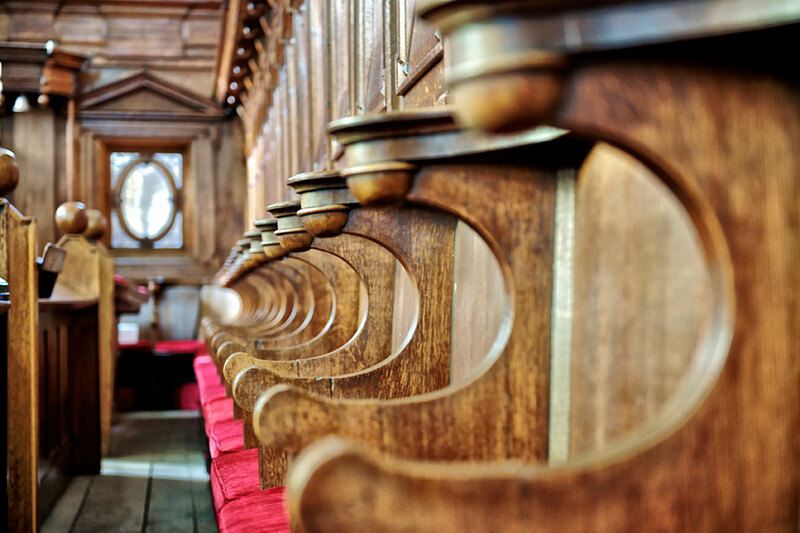 Following the safe removal of the scaffolding, all the bespoke benches, seating and sections of panelling were carefully prepared, repaired, restored and refinished by our own in-house craftsmen.